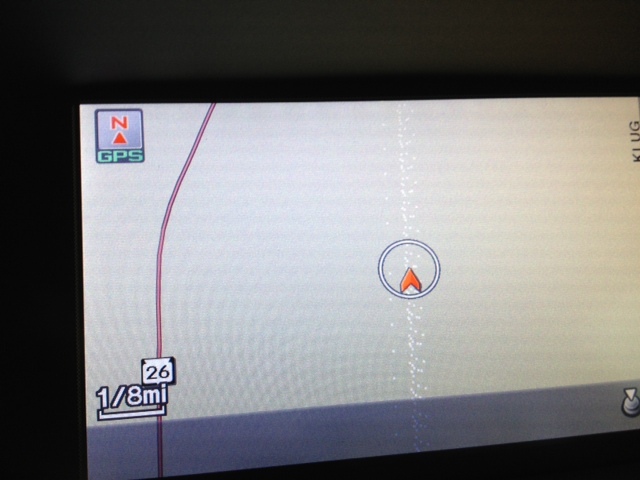 This is a picture of the GPS in my car. The red line on the left is the highway. The red arrow near the middle is my car. How did this happen? I don’t seem to be driving on a digitalized road. But the experience is instructive to me because it seems true in my life, as well. I have somehow expected that faith through aging eyes would be navigated on familiar roads. Instead, I am leaving much that has become familiar and venturing into unmarked territory. Aging is an invitation for this adventure. Physical hearing loss can quiet distractions and sensitize us to the voice of the Holy Spirit. Knowing our time in these bodies has limits prompts us to consider what we are doing with it. Is the road that I have traveled so habitually really taking me deeper into the heart of God. Is this road one that will be compelling to the generations that are following? I want the time I have left in this body to be one of radical faith. I want the Holy Spirit to be relentless in consuming that which is not of Him. I want to encounter God in deeper ways than I ever have before. I want to wait, like the early disciples, for His power to fill me each day. I may not be on a well-traveled road. But if it is the road marked out for me it’s the only place I want to be. This entry was posted in Thoughts and Reflections and tagged aging, faith, God, GPS, highway, Holy Spirit, path. Bookmark the permalink.